I recently picked up the Fujifilm 80mm Macro lens and from the moment I held this lens, I knew it was special. First thing you will notice about this lens is the size. It is a pretty large and heavy lens, made of all metal and glass. The only plastic seems to come from the lens hood. Even with the weight, it seems to balance well on the Fuji X-T2, even without a grip. When I really noticed the weight was when it was in my camera bag. As other people have said, the sharpness of this lens is insane. But even more impressive is how smooth the backgrounds are when using this lens. It is by far the highest quality glass I have used and I expect to be using it for a lot more then just close up macro photography. The image stabilization made it possible to shoot sharp images like this without a tripod. Shot handheld, thanks to the outstanding OIS features included with this lens. 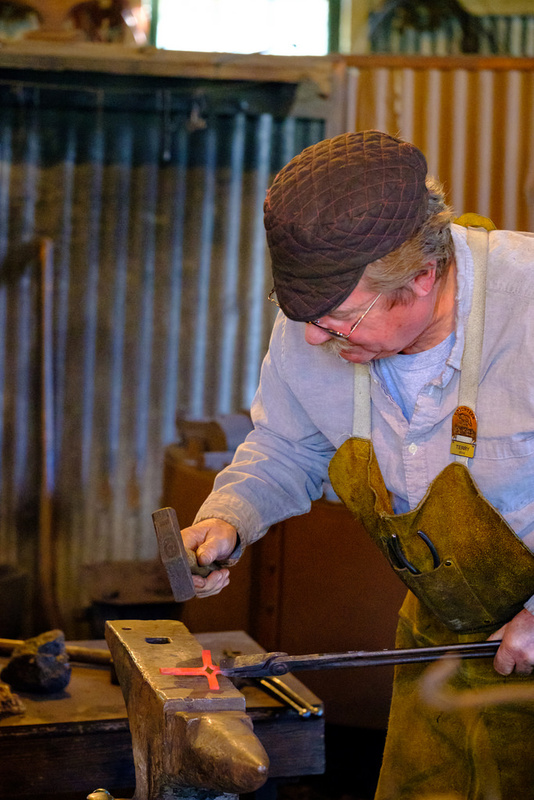 Shot in the blacksmith shop at Empire Mine State Park. Like all Macro lenses, the depth of field is very shallow, so locating the ideal focus point can be a challenge. Overall I thought the lens focused quickly when used inside and outside. Being able to work without a tripod gives me the freedom to quickly move around the subject. I really like how well this lens gives you a feeling of depth, even when shooting directly at something like this old rusty gear.